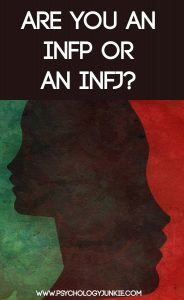 Are You An INFP or an INFJ? Clarifying the Most Common Mistype! There are probably over 30 free “MBTI” tests online. These knock-off personality quizzes claim to be as accurate as the official Myers-Briggs Type Indicator®, but they are lacking the reliability and validity testing that went into the official MBTI®. As a result, numerous people are being mistyped or getting different results each time they take the test. The most common mistype to come from these online tests is the INFP/INFJ mistype. Why are so many INFPs and INFJs mistyped? The majority of online tests focus on the letter dichotomies (E or I, S or N, F or T) without considering the cognitive functions. Because of this, a very slight preference towards the P dichotomy or the J dichotomy could change your entire type. This isn’t how personality typing should work. INFJs and INFPs share zero cognitive functions. Plus, to make it even more confusing, INFJs lead with a perceiving preference, and INFPs lead with a judging preference. In turn, many INFPs type as INFJs and many INFJs type as INFPs! Are you confused yet? Let’s try to simplify things! Let’s start by taking a look at the different cognitive functions for the INFJ and the INFP. 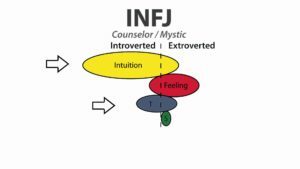 If you look closely, you can see that the INFJ uses introverted intuition (Ni), extraverted feeling (Fe), introverted thinking (Ti), and extraverted sensing (Se). The INFP uses introverted feeling (Fi), extraverted intuition (Ne), introverted sensing (Si), and extraverted thinking (Te). There is not one function that these two types share. How can I tell if I’m an INFP or an INFJ? INFJs lead with introverted intuition. This is their dominant function. Their #1. Their favorite. Their driver. More than anything else in the world, INFJs are going to look at patterns, perspectives, and the big picture. They privately consider the purpose and meaning of life, and analyze human patterns and behaviors. They have an intense focus on one overall meaning or “master plan” for their life. Their intuition is like a tall, narrow tree, with very deep roots. It has lots of depth, not as much breadth. INFJs feel “detached” from the world, as if they are observing it from a distance. They “zoom out” of situations to try to see how the pieces fit into the big picture. They perceive situations from various angles and perspectives to discover what the future context is. They probe deeply into what is and try to predict what “will” happen. You can see the INFJ perspective of the overall meaning of things and the “big picture” in Dante Alighieri’s writings. INFPs do not lead with intuition. They lead with introverted feeling. Extraverted intuition is their 2nd favorite function. Their co-pilot. Their “companion” function. Extraverted intuition sees a multitude of ideas and possibilities in the external environment. An INFP can see one thing and extrapolate numerous ideas and possibilities from that one thing. They brainstorm. They bounce from idea to idea. Their intuition is like a tree with short roots but broad branches reaching out in many different directions. It has lots of breadth, but not as much depth. INFPs tend to feel different from the rest of the world. They have a strong individual set of morals, values, and ideals that they strive to live by. They seek to live up to their ideals and be as authentic as possible. They see what is and form numerous possibilities about what “may” happen or what “could be”. You can see the INFP feeling of “difference” beautifully described by Edgar Allan Poe, who is an INFP. As others were – I have not seen. INFJs use Extraverted Feeling. This is their 2nd favorite, or auxiliary function. It balances out their intuition. INFJs pick up on and absorb outer moods and emotions. They combine Fe with Introverted Thinking (Ti) to analyze other people’s moods and feelings and notice patterns in human behavior. Because of this, they instantly know how to alter their behavior to promote external harmony. The INFJs feeling function is like a tree with shallow roots, but long branches reaching out and absorbing emotions and feelings everywhere around it. INFJs may keep their true feelings hidden for the sake of external harmony, whereas INFPs will more likely say something if there’s a conflict with their values or moral code. BOTH types are concerned with values and harmony, but the INFJ is more likely to be curious or analytical about behavior that conflicts with their values, whereas INFPs are more likely to define it as right or wrong and speak up about it. INFPs use Introverted Feeling. This is their favorite function, or dominant function. It is their driver. INFPs constantly analyze how things fit in with their value system. They have a deep, individualistic set of values that they strive to adhere to in every aspect of their lives. INFPs are independent and seek to maintain an independent moral code that is refined more and more over time. They are constantly in check with their conscience to determine if something is “right” or “wrong”. They “step into other people’s shoes” to try to understand how they would feel in their position. This is called “mirroring” emotions. INFPs feelings are extremely deep, with a lot of focus. Their feeling function is like a tall tree with deep, long roots that refine and dig deeper into the INFPs own values, morals, and emotions. INFPs will rarely alter their ideals or identity to “smooth over” things in the outer environment. Internal harmony and authenticity will always be more of a priority than external harmony. INFJs will use tertiary introverted thinking to ground all their ideas and processes in a sense of logic. INFJs like to combine Ni, Fe and Ti to strategize workable plans or one complete plan for the future. They like to categorize, analyze, and play with ideas and logical concepts to understand how the world works. They also like to analyze the emotions and moods of other people so they can understand them better. INFPs will use tertiary introverted sensing to ground all their ideas and processes with what they’ve experienced in the past. INFPs have a certain nostalgic quality about them and like to remember what’s happened before and what they felt before. They use Si (introverted sensing) to recall numerous details about a past experience, how it made them feel, and what they learned from it. This gives them faith in their experience and an ability to remember things vividly. INFJs use Introverted Thinking (Ti) as their “relief” function. During stress-free times, INFJs enjoy tinkering with ideas and principles. They enjoy doing brain-teasers and mental puzzles. They like to categorize and research. INFPs use Introverted Sensing (Si) as their “relief” function. During stress-free times, they enjoy revisiting places they’ve been, ideas they’ve explored, or pulling information from the past or history. They can be very nostalgic and enjoy reminiscing about past experiences. The inferior function is the least developed of all the functions for each type. It’s also the most sensitive, and the most “at odds” with the dominant function. INFJs have inferior Extraverted Sensing (Se). They are so often “in their heads” that they can lose touch with the world around them. They can also become very frustrated if the world around them is in a chaotic, disorderly state. When under intense stress, an INFJ might fall “into the grip” of extraverted sensing, and start over-indulging in sensory pleasures; over-eating, making impulsive decisions, drinking too much, over-exercising, etc,. INFJs in a healthy mood can use Se in a positive way to enjoy a hobby that calms them; some INFJs become skilled gardeners, bakers, or they might enjoy bird watching or stargazing as a way to calm down and relax. INFPs have inferior Extraverted Thinking (Te). Because it’s inferior, they can sometimes seem irrational because all their other functions tend to “crowd it out”. Just like INFJs can be so stuck in their heads that they can walk into walls (due to inferior Se), INFPs can be so occupied with their ideals and values that they lose their logical focus (due to inferior Te). Under extreme stress, INFPs can fall “into the grip” of inferior Te. This can make them seem overly directive, harshly critical, or sarcastic. They may become obsessed with righting wrongs or fixing errors. INFPs in a healthy mood can use Te very effectively to bring their ideas and values to life and to give them a logical direction. Te can help them to put their ideas out into the world in a convincing, rational way. I hope this helps you to understand the real differences between the INFP and INFJ! I also hope this helps you to figure out if you are one of these types. Let me know if this has been helpful, or if you have any problems with it! I’d love to talk it over in the comments! 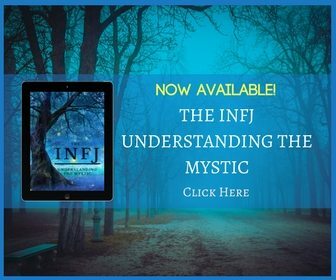 If you’d like to find out more about the INFJ personality type, check out my new ebook The INFJ – Understanding the Mystic. There is a lot of helpful information about these two types if you are still seeking clarification. Check out these links! Watch a Myers-Briggs Certified Master Practitioner discuss the difference between INFJs and INFPs! My best friend is totally and INFP and I am totally an INFJ. No mistakes there. We are very different. 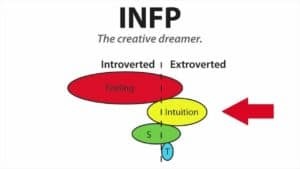 No one would ever accuse us of being remotely similar, even though we are both creative, both intuitive, both introverted, I am less introverted than my INFP friend. Bang on! It seems like I might be both somehow…. i have half the traits of INFJ and half the traits of INFP (I’m also a Gemini so it might just be the split personality thing).